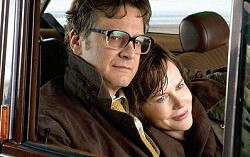 David O Russell's black comedy loosely based on a true story from the late-1970s. A con man and his seductive partner are forced to work for a wild FBI agent who pushes them into a world of New Jersey powerbrokers and mafia. Ahlo, a hapless boy from Laos, decides to prove his worth by entering a rocket building competition. A feel-good world cinema treat! At the height of his career, Charles Dickens meets a younger woman who becomes his secret lover. This stormy relationship provides the woman with a life few women of her time can enjoy. 'Period biographical dramas donâ€™t come much better'. 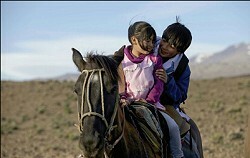 The first feature length film made by a female Saudi director follows 10 year old Wadja in her quest to own a bicycle. Constantly pushing the boundaries in her ultra conservative society, fun-loving Wadja takes no notice that bicycles are seen as dangerous to a girl's virtue. A ground-breaking and award-winning film full of hope. Millions know their voices, but no one knows their names. 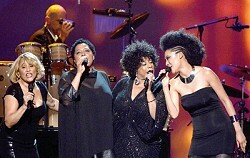 The true story of the backup singers behind some of the greatest musical legends of the 21st century. Triumphant and heartbreaking in equal measure, a fascinating film with great music. Based on the memoir by British World War II soldier Eric Lomax, The Railway Man is an intense and emotional drama about one man's lifelong struggle to overcome the effects of being a prisoner of war. A personal story of how love, courage and forgiveness can heal. 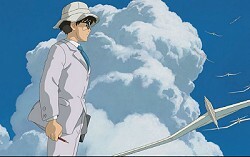 Set in the early 20th Century, The Wind Rises is both a love story and a powerful telling of the development of modern fighter planes & the culture of the time in Japan. Starting with the major earthquake that shook Tokyo in 1923 be amazed at the reality that director Hayao Miyazaki and the animators at Studio Ghibli bring to the screen. Loosely inspired by Oscar Wilde's famous short story, The Selfish Giant centres on Arbor, a mouthy, rebellious 13 year old Bradford boy and his gentle best friend, Swifty. The pair supply stolen 'wares' to a local scrap dealer. Deeply moving but with comic moments. Well deserved comparisons have been made to Ken Loach's 'Kes'. Travelling on foot, on horseback or in a wheelchair, children from four different countries face challenges and dangers in getting to school each day. This is an uplifting documentary that follows Kenyan Jackson, Argentinian Carlito, Moroccan Zahira and Indian Samuel in their determination to get an education. At a family get-together in Scotland Abi and Doug want their children to keep their up-coming divorce quiet from the rest of the family. However, children being children, events take a different course. A heartwarming and uplifting film from the creators of the BBC's Outnumbered to draw our 2014-15 season to an end.